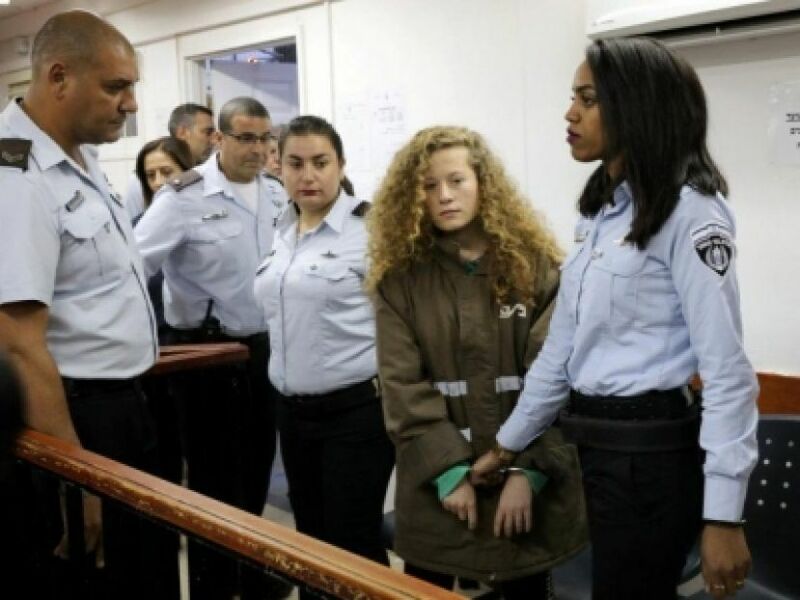 "After months in which the entire military system mobilised against a 17-year-old girl, the military prosecution yesterday crossed out eight of the 12 charges against Ahed Tamimi, including all allegations of stone-throwing and incitement to terrorism. After the court decided that the trial would be held behind closed doors, we knew that there would be no justice in the the Occupation's legal system. Given this, we reached a plea bargain that is considered a success, so that she will serve 8 months in jail and will be released from military prison in the [northern] summer. Let's hope that she will soon be free from the Occupation as well." Because of your voice in signing the latest petition, Ahed received eight months instead of 3-10 years in prison. By signing, you joined almost two million people around the world in standing up against child incarceration and it made all the difference in Ahed's life. THANK YOU. Let's keep it up! Two more poignant reasons influenced her reduced sentence: lack of evidence against her and her arrest inspired Palestinian youth to organize (read more here). Nariman, Ahed's mother, will also face eight months in prison and was also fined 6,000 shekels ($1,780). Nour, Ahed's cousin, was released with a fine of 2,000 shekels ($500). CONTACT your representatives to tell them to support HR 4391 to hold Israel responsible for its abuses of Palestinian children's rights. "HR 4391, the "Promoting Human Rights by Ending Israeli Military Detention of Palestinian Children Act," seeks to promote justice, equality, and human rights by ensuring that United States financial assistance provided to the government of Israel is not used to support the detention of Palestinian children by Israeli forces in a military detention system where ill-treatment is widespread and institutionalized—or their prosecution in a military court system that has been found to lack basic fair trial protections and guarantees. The bill was initiated by Representative McCollum and cosponsored by Representatives Grijalva, Pocan, Blumenauer, Conyers, Pingree, Carson, DeFazio, Danny Davis, and Gutierrez." CALL your nearest Israeli embassy and let them know that you know about the detention of Ahed Tamimi in Nabi Saleh and other Palestinian child prisoners. Demand that Ahed, her family, and all detained children be immediately released. Tell @IsraeliPM @AvigdorLiberman: NOTHING she has done justifies detention and a prison sentence for a child. #350 Palestinian children are currently held in #Israeli prisons and detention centres. #Palestinian children are routinely subjected to ill-treatment during arrest and interrogation by #Israeli forces. *Twitter and Facebook recommendations provided by Amnesty International.